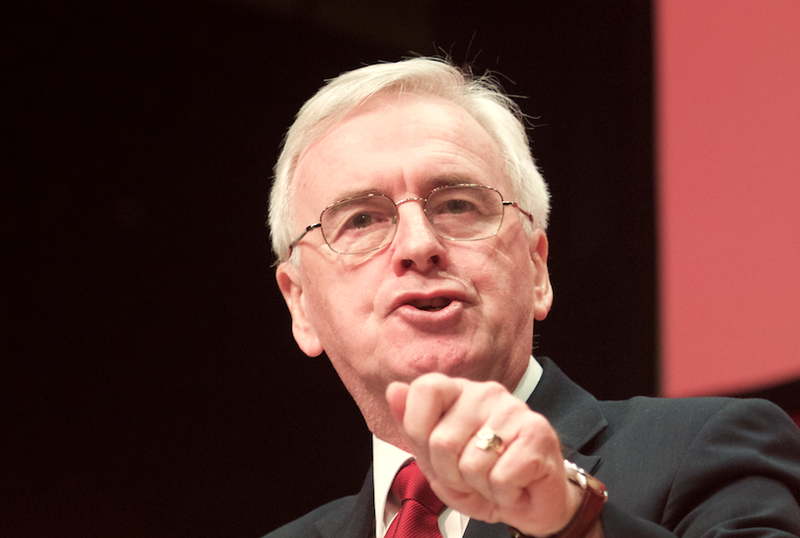 Shadow Chancellor John McDonnell has announced that under a Labour government Royal Bank of Scotland would remain in public ownership with a new management team who would be ordered to end branch closures. Unveiling plans for a “new public banking eco-system” including a new Post Bank based on the Post Office network, Mr McDonnell, pictured, says RBS will stay in public ownership for the long term. His plans are likely to be met with dismay by the markets which has seen RBS return to profit with expectations that it will also be returned to full private ownership. In a statement issued today he said RBS has already lost £3 billion of £46bn of taxpayers’ money injected in 2008 and under Labour’s plans “the management team will be completely overhauled.” The bank will be given a new mandate to “end the abuses of the past and focus its activities on productive investments”. It would be ordered to end to the programme of branch closures which has left just 54 branches in all of England and Wales. A Move Your Money report estimates that “bank branch closures dampen SME lending growth by 63% on average in postcodes that lose a bank branch”. The Federation of Small Businesses has also highlighted the impact of bank branch closures on SMEs, saying: “Bank branch closures damage high street footfall, restrict cash flow in local economies and force business owners to waste time travelling to and from their next nearest branch, which could be miles away. Labour plans a central role for the Post Office, including a Post Bank to operate alongside a publicly-owned RBS and a previously announced national Investment bank to support small businesses and overdue infrastructure upgrades. The party would inject £2.5bn into the “Post Bank” which it sees as playing a key role in saving the high street and protecting face-to-face and affordable banking. Consumer group Which? says Britain has lost two-thirds of its bank and building society branches in the past 30 years. from 20,583 in 1988 to just 7,586 today, leaving a fifth of the population two miles away from their nearest branch. Over the past five years the Post Office has announced the closure of around 150 Crown Post Offices, 40% of its 2013 Crown Post Office network. It still has a network of more than 11,500 branches, but despite making a a profit of £35m last year, up from £13m in 2016-17 it faces pressure from online delivery services such as Amazon and the wider decline of town centres. 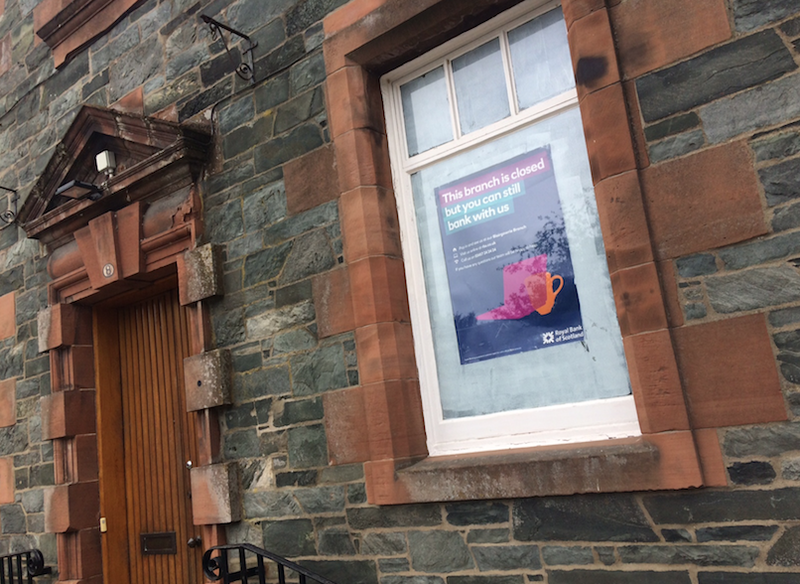 The Post Bank would have by far the largest branch network of all UK banks.The party estimates it could create up to 3,600 Post Bank branches – 298 of them in Scotland – helping to revitalise High Streets by bringing foot fall back into our town centres. Labour says a network of Post Bank branches would also help stem the tide of post office closures. As well as offering banking services to individuals, the Post Bank would provide relationship banking with small businesses, acting as an “on-lender” for the regional development banks, to kickstart SME investment. A national investment bank, announced in the party’s 2017 General Election manifesto, and network of regional development banks would focus on lending to SMEs, start ups and co-operatives in every region and nation of the UK. The banks will “on-lend” through favoured institutions, including the Post Bank and RBS, to build lasting relationships with the businesses they lend to. Mr McDonnell said this focus will support Labour’s plans for a Green Industrial Revolution and help make sure that the technological advances, automation and the industries of the future benefit the many, not just the few. He said: “Finance is the central nervous system of the economy. It directs investment, deciding which businesses and projects get off the ground and which fail. For too long, this vital part of our economy has been solely in the hands of the big banks and the speculators. As the financial crisis, scandal after scandal and the chronic lack of investment for our SMEs, manufacturing and in our infrastructure show, this model has failed.